Back in June of 2013, I was asked to shoot some pictures for a local musician’s upcoming album cover. I don’t do a lot of that sort of thing, but this one intrigued me. 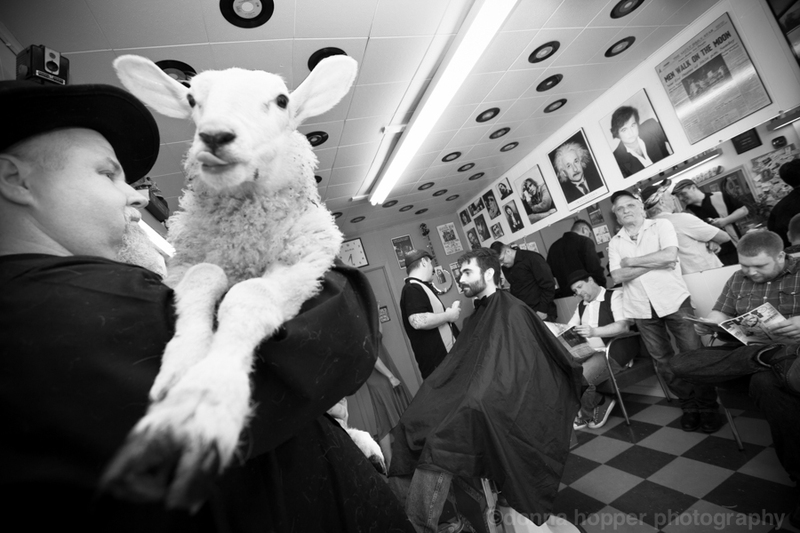 I was told it was to take place at the musician’s old school traditional barber shop and there would be farm animals involved. 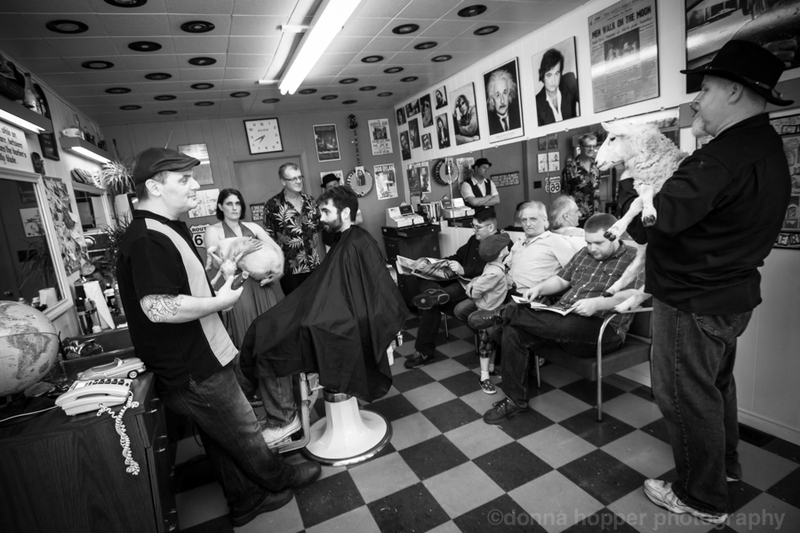 Danny Trevisanut is the barber/musician, and he owns and operates a tiny hair joint that’s plastered with his influences — Lennon, Hunter Thompson, Bukowski, etc., etc., etc. And there were indeed farm animals present during the photo shoot. 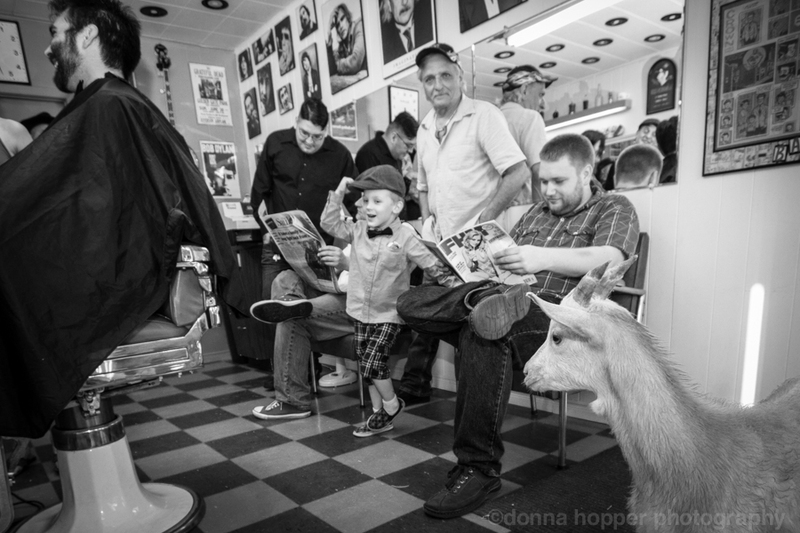 In the tiny barber shop. With about 10 people. On a SUPER hot day without air conditioning.